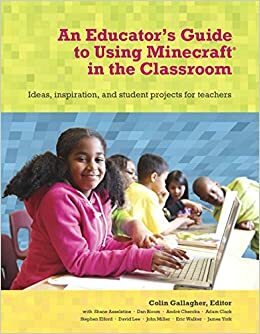 Another Minechat under my belt and another example of how much work teachers around the world are putting into creating an online and immersive learning environment for their students. This week Shane Asselstine in Hawaii showed me around his humongous Minecraft world. I barely scratched the surface and I know I’ll be back to visit him in the near future. Highlight for me is his use of horse racing to teach decimals in Math (although I had bad lag with my nag)! Thanks Shane for showing me around!